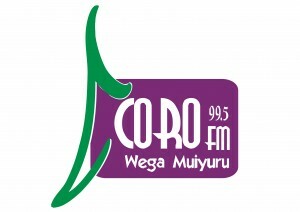 Coro FM is a live online radio station in Nairobi, Kenya; providing Culture, Talk, Music and Lifestyle programs. For best programming, choose presenters; best music; hot political and topical discussions on fashion, trends, culture, family, relationships, agriculture and so on. Coro Fm is the brand of Choice! This is a live online radio station broadcasting from Nairobi, Kenya. It is very popular in this country for playing African Music, Hip Hop, Reggae around the clock. This radio station plays various genres of music 24 hours live online. Benga music has been popular since the late 1960s, especially around Lake Victoria. The word benga is occasionally used to refer to any kind of pop music: bass, guitar and percussion are the usual instruments.Partially from 1994 and wholly from 2003 Kenyan popular music has been recognised through the Kisima Music Awards. A number of styles predominate in Kenya including Benga and Reggae have separate categories, and a multitude of Kenyan artists are awarded each year.The guitar is the most dominant instrument in Kenyan popular music. Guitar rhythms are very complex and include both native beats and imported ones, especially the Congolese cavacha rhythm; music usually involves the interplay of multiple parts and, more recently, showy guitar solos.